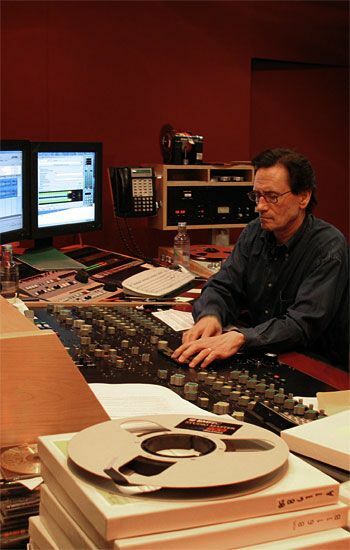 Bernie Grundman is one of the most prominent names in Mastering world wide. He has been directly or indirectly, by his studio staff of engineers, behind hundreds of gold and platinum recordings. He has personally mastered some of the industry's landmark recordings, such as: Carole King, tapestry, Steely Dan's "Aja", Michael Jackson's "Thriller", Prince's "Purple Rain", and Dr. Dre's "The Chronic". In addition He has worked on albums by a veritable who's who of the music industry, such as: The Carpenters, Herb Alpert, Sergio Mendes, The Doors, Joe Cocker, Joni Mitchell, Burt Backarach, Jackson Brown, Linda Ronstadt, James Taylor, Supertramp, Procal Harum. Rod Stewart, Fleetwood Mac, Janet Jackson, Quincy Jones, Outkast, Ludicrous, Mos Def, Mary J. Blidge, Lucinda Williams, Jack Johnson & Macy Gray. Born in Minneapolis, Minnesota and a second generation American with ancestry from Germany, Sweden and Norway, Bernie's family moved when he was 8 years old to Phoenix, Arizona. At that young age He was already fascinated with music and recordings. He especially was drawn to the equipment that made it possible to record sound. At age 14 he first experienced high-quality sound and was so impressed that, from that day on, audio became an all-consuming obsession. In his early twenties, Bernie was in the Air Force, where he worked in electronic warfare. After the service, he had made up his mind to pursue his love of recorded sound and returned to Phoenix and managed to get a job at a local recording studio while going to Arizona Stare University on an electrical engineering curriculum. Within a short time, in September of 1966, he was able to get a job at one of the studios that he admired the most, Contemporary Records in Hollywood. After two years there, and making a reputation in the industry mastering many major artists, he went to work at the then new A&M records studios as head of their mastering department in 1968. After 15 years at A&M and mastering well over 100 gold and platinum albums for both A&M artists and outside clients, he opened his own studio in February of 1984. 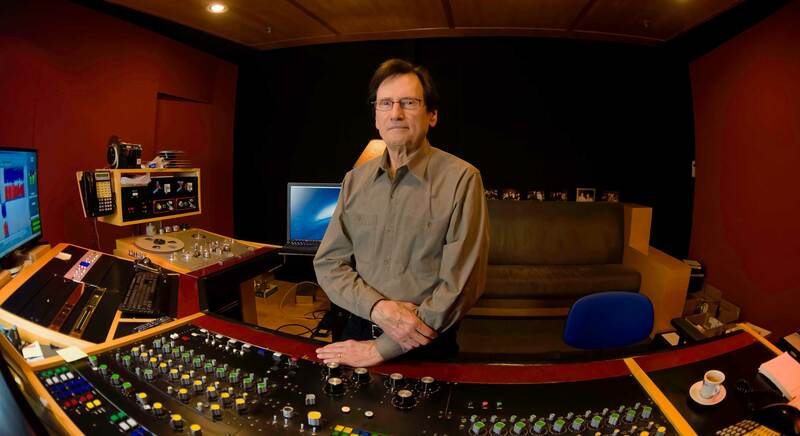 He, along with his staff of engineers and studio personnel, has been responsible for becoming one of the largest and most famous mastering studios in the world. In 1997 he opened a Bernie Grundman Mastering in Tokyo, Japan, which quickly become a major force in their music industry, and also responsible for numerous gold and platinum recordings in Japan and other Asian countries. Bernie has also given lectures, workshops and seminars in Germany, Sweden, Japan, UCLA (University of California Los Angeles), AES (Audio Engineering Society), and for NARAS (National Association of Recording Arts and Sciences). He has been recognized for his work with a Grammy and 14 Tec Awards and dozens of articles in audio magazines around the world.